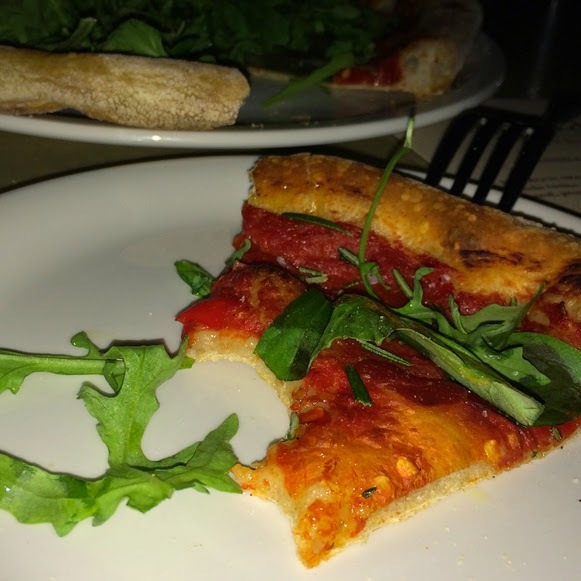 for quite some time, i had been wanting to try another one of lettuce entertain you's relatively new restaurants ... this time, stella barra pizzeria in lincoln park. apologies in advance ... the photos aren't that good (and therefore, probably do not do the food justice). we were sitting outside in stella's amazing patio area, so the lighting wasn't ideal. and since my photoshop skills are extremely limited, this is what you get. fresh & summery. doesn't get much better. 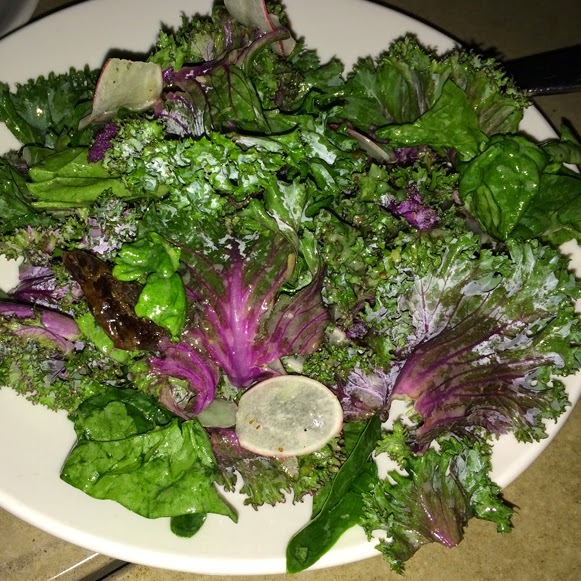 i liked this better than the squash salad ... it featured kale, so obviously loved. but it also was somehow better. i don't know, personal preference, i guess. 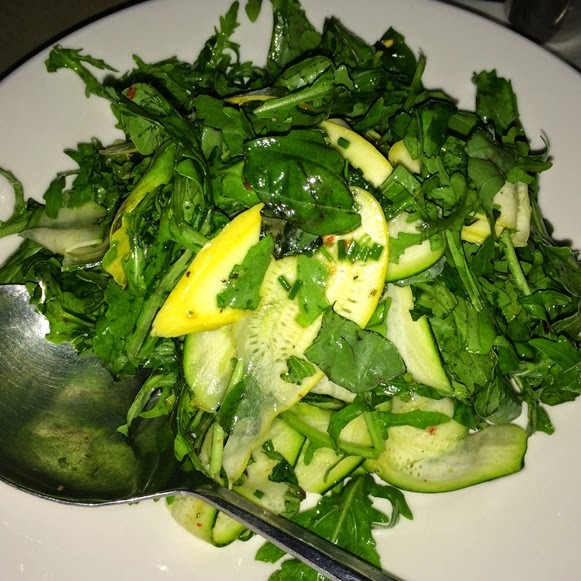 arugula, roasted garlic, calabrian chilies, sweet basil, herbs & evoo. an already vegan item on the menu. oh, and listed first in the pizza section. 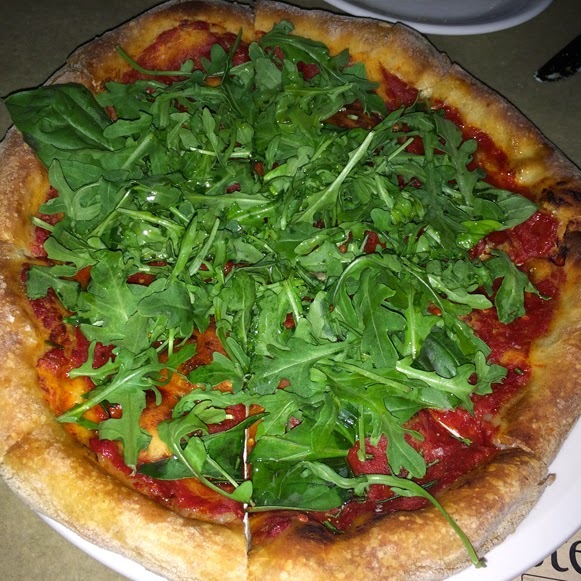 great flavors ... great crust ... and the perfect amount of spiciness. molto bene. guys, i know i like everything. but i really liked stella barra. the food was awesome ... and in the summer, if you are lucky enough to sit in the patio, you're going to have an extra lovely meal. check them out.